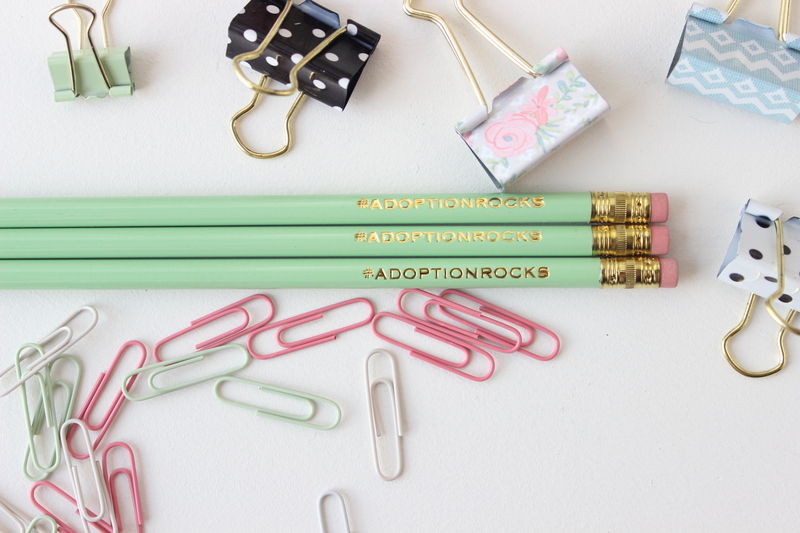 Set of 3 #adoptionrocks pencils. Mint pencil with gold lettering. Perfect gift for your adoption social worker or anyone who loves adoption! Created by Roost Paperie on Etsy.